The members of a top secret SEAL Team can’t keep their passion under wraps in the first novel in this contemporary romantic suspense series from New York Times bestselling author Monica McCarty. After walking into a trap on a covert op in Russia, the men from top secret SEAL Team Nine are presumed dead. Not knowing whom they can trust, and with war hanging in the balance, the survivors must go dark and scatter around the globe. Monica McCarty is a New York Times and USA Today bestselling author of historical romances, including the Highland Guard series, the Campbell trilogy, and the MacLeods of Skye trilogy. 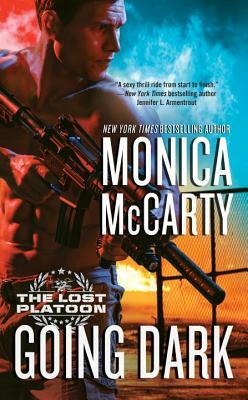 The Lost Platoon is her first romantic suspense series. She is published all over the world.